of stainless steel 1.4301 represents a completely new design from Eisele. It is used as a pressure reducer to regulate the line pressure to the constant desired operating pressure. The screw-in fitting from the Eisele INOXLINE has a control pressure range from 2 to 8 bar and is designed for very fine adjustment with low fluctuation. 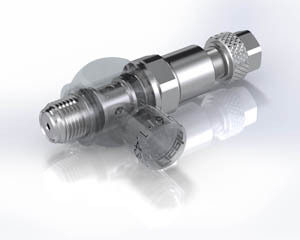 In addition, the flow-optimised pressure regulator reduces vibrations in the control systems.